Happy New Year! This is the time of year we are working on a list of resolutions. I would suggest the top of your list be to take out your automobile insurance policy and review it carefully. This won’t be the most fun item on your list of New Year’s resolutions, but I assure you it is one of the most important. Why? 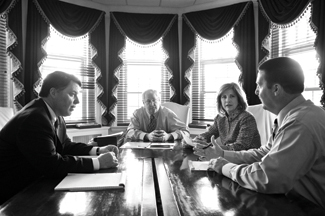 I have represented victims injured in automobile accidents and at work for the past thirty years. I am always amazed at how underinsured people are, frequently unknowingly. In this very difficult economy, often people think cutting insurance premiums is the way to save money. This is a very risky choice with serious ramifications. I have found in my experience, people don’t even understand the consequences of being underinsured until it is too late. Let me explain. The Delaware Code Title 21, § 2118 requires an owner of any motor vehicle registered in Delaware to carry minimum insurance coverage of $15,000 for any one person and $30,000 for all persons injured in any one accident. Frequently clients tell me, “Oh, I have full coverage.” Usually that translates into the client having their statutory minimum of $15,000.00 per person limits of automobile insurance coverage. This statutory minimum has remained the same and has never increased for as long as I’ve been a practicing attorney. One of the most difficult things I must do as part of my job is to explain the consequences of inadequate insurance coverage to a client seriously injured in a motor vehicle or truck accident, or in a wrongful death case. 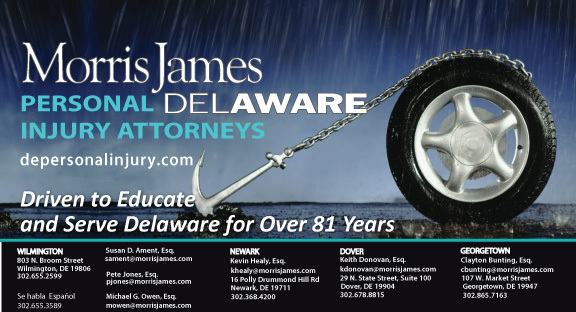 In Delaware, Personal Injury Protection automobile insurance coverage follows the vehicle you are in. If you are in your own car or someone else’s vehicle, and it only has Personal Injury Protection coverage of $15,000.00 per person/$30,000.00 per vehicle, these limits will be exhausted very quickly and are inadequate for seriously injured victims or deceased motorists. Personal Injury Protection by Delaware Code Title 21, §2118 provides compensation to injured persons for reasonable and necessary medical expenses incurred within two years of the accident for medical, hospital, dental, surgical, medicine, x-ray, ambulance, prosthetic services, professional nursing and funeral services. It also provides for net lost earnings and extra expenses for personal services. I usually recommend clients have a minimum of $100,000/$300,000 PIP coverage. I recently asked an insurance agent what the difference is for minimum $15,000/$30,000 automobile coverage as opposed to the higher coverage of $100,000/$300,000. I was told generally the premium increase would be around $500. For $500, why wouldn’t you want to address this important New Year’s resolution, and make certain you and your household members have adequate insurance, if and when you are seriously injured, and need it to pay your lost wages and medical bills? Another way to try and protect you and your family is to have adequate Uninsured/Underinsured motorist coverage. This coverage applies when you are hit by an uninsured driver (I see this frequently in my practice) or a defendant driver who is underinsured for injuries or death. I recommend a minimum of $100,000/$300,000 Uninsured/Underinsured motorist coverage. If I ever have the privilege of meeting with you following an automobile accident, I will ask that you bring me a copy of your automobile insurance policy and declaration sheet. I carefully review and coordinate all of your applicable insurance coverages. I hope I will be pleased to see you show me a policy with appropriate insurance limits that protects you and your family.